After a long break Papaya is back in the game on October 4th. 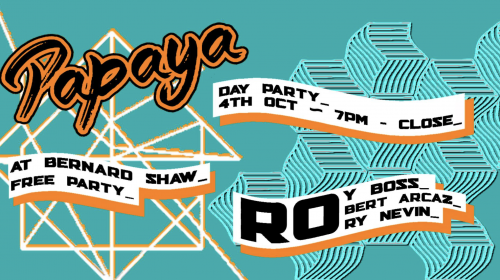 Rory Nevin, Roy Boss and Robert Arcaz are on decks from 7pm. Expect some serious grooves.